Shortly on the heels of unveiling the Quadro RTX cards at SIGGRAPH 2018, NVIDIA released a new teaser video for the upcoming 'GeForce Gaming Celebration' event. 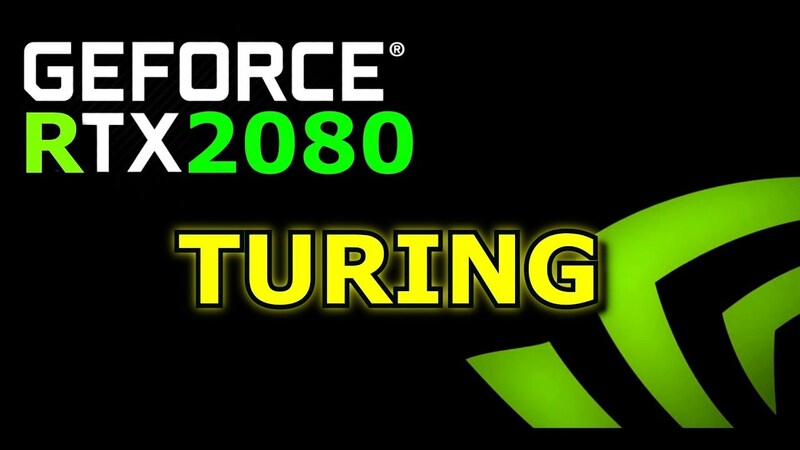 The teaser drops quite a few hints, which indicate that the upcoming GeForce cards will indeed have an RTX 20xx nomenclature. NVIDIA's Quadro RTX announcement at SIGGRAPH 2018 yesterday was well received and the ray tracing capabilities of the cards were truly astounding. So far, news on the grapevine has been that the consumer GeForce cards will also be getting some ray tracing love and that the top-end GPUs in the GeForce lineup will have the RTX branding instead of GTX. Looks like these rumors might just turn out to be true. Feel free to let us know how many times in a row you watch this. Did you catch everything? See you on the other side...﻿"
The cooler shroud shown in the video resembles what we saw during the Quadro RTX reveal yesterday. We also see a gamer on her laptop joining the others on desktops, which could imply that NVIDIA will also announce the mobile versions of the Turing GPUs. Going by the clues above, the next generation GeForce cards will most likely be named in the 20xx series instead of the 11xx as was indicated in some earlier leaks. From what we know so far, the RTX branding will be restricted to only the top-tier 2080 and 2070 cards while the rest of the lineup will continue to sport the GTX name. That means, AdoredTV and the GALAX rep were right, at least with respect to the naming scheme. Let's hope that the supposed 'breakthrough performance' holds true as well. The GeForce RTX/GTX 20xx cards will be unveiled during the NVIDIA GeForce Gaming Celebration event on August 20 just ahead of Gamescom 2018 in Cologne, Germany. Watch the video embedded below and let us know if you've been able to spot any additional hints.